How many tabs do you have open right now? Currently, I’ve got 13 open. I leave them open because I’m multitasking, or because I’m afraid I’ll forget to read or do something if I close one of them. Can you relate? Or perhaps you’re thinking, “that’s totally me!” as you read this? Starting and scaling your retail business (or any business for that matter) from the bottom up is probably the hardest job you’ve ever had, #AmIRight? 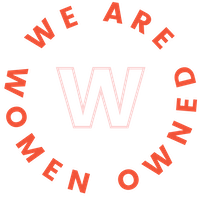 That’s why we asked the We Are Women Owned community and various women in business what small business apps and tools they’re using to stay productive and streamline the day-to-day of running their business. Our goal is to provide you with hacks to do more with less, saving time, money, and hopefully brain power so you can focus on what will help you grow your business to the next level. 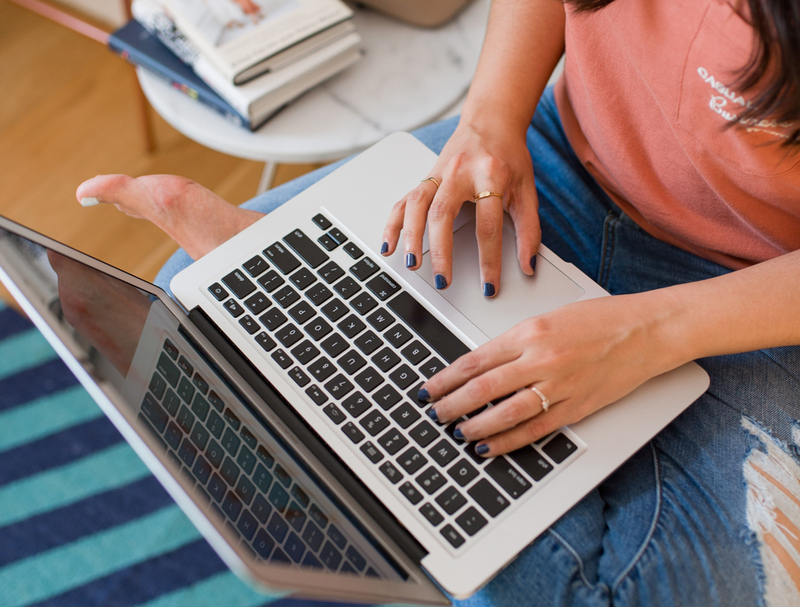 We’re sharing a list of the best small business apps that we crowdsourced from women in business and organized them by category to make it a breeze for you to get acquainted. Asana is a project management tool that can be used to organize personal or teamwork. You can organize projects in a list, by timeline, or as a calendar and you can have conversations and manage process within the app. You can use Asana to reduce the use of email among team members and communicate and collaborate via shared projects. Trello is a task management app that provides a visual overview of what is getting worked on as well as who is working on each task. It uses the Kanban system, a scheduling system for lean or on-demand manufacturing that was developed by Toyota to maintain flexibility during production. Monday is a team management solution that can help you connect people to processes. It’s made for small to large companies across any industry. Its mission is to provide you with a tool to keep your employees engaged, productive, and happy. Pricing ranges from $25 per month for the basic plan to $118 a month for Monday’s enterprise plan. TopTracker is a time tracking and invoicing app, which lets you track the amount of time you spend working on a project, or if you’re a freelancer, the time spent on client projects. You can get a centralized view of all the projects you’re working on and detailed productivity reports. The bonus is that it’s free. Harvest is a time tracking app that you can integrate with other workflow apps that you already use. It connects with a variety of project management, accounting, customer relationship (CRM), and contract and proposal apps. You can add time tracking to your applications with a few lines of code that are provided by Harvest. Pricing ranges from free to $12 per person per month for two plus people and unlimited projects. TSheets is a time tracker that can help you streamline payroll and invoicing. It allows you to build employee schedules, integrate with your existing payroll software, and includes reports that can help you predict the time needed for a project, costs, and how to increase profitability. Pricing ranges from free for one user to $4 per month per active user with a base fee of $16 per month for 2 – 99 users and a base fee of $80 per month for enterprise businesses with 100+ users. Honeybook is a customer relationship manager (CRM) made for freelancers and creative business owners. You can book clients, manage projects, and bill clients all within the platform. With Honeybook you can also automate your workflow so you can spend more time scaling your business. Its community, Rising Tide, is a free creative community that you can use to network, build relationships, and grow your business. Pricing is $34 per month if you choose the “bill annually” option. Thanks, Joanna Lovering for the 50% off referral code. Hubspot is an entirely free CRM that has marketing, sales, and service hubs that can help you grow your business. Hubspot is known for its customer support and has various communities for marketing and sales professionals. Nutshell is a simplified, affordable CRM option that integrates with third-party apps and services like Gmail, Mailchimp, and Slack to name a few. Its features include pipeline management, contact management, sales automation, reporting, team collaboration, and performance tracking tools that can help you turn leads into customers. With Nutshell, you can simplify your workflow, automate tasks, and track your leads as they go through each stage until conversion. Pricing starts at $19 per user per month. ShipStation is a shipping software for ecommerce order fulfillment. It integrates with various sales channels including Shopify, Amazon, and Etsy and because of its high sales volume, you can get lower shipping rates with most carriers. ShipStation includes a self-service portal for customer returns, tracks stock levels for you, and has detailed analytics reports. Pricing starts at $9 a month and goes up to $159 per month for enterprise businesses. Shopventory is an inventory management software that integrates with your sales system. It can help you optimize your inventory and determine what you need more or less of, and where you may be losing money. Upon signing up, Shopventory can import your sales history, including inventory levels. Pricing ranges from free for its basic plan to $399 per month for its elite package. Shyp is an all-in-one shipping software and service. You can choose from flexible options that fit your needs including postage, packing, tracking, order management, ecommerce integration, and pay-as-you-go pricing. Made for individuals or businesses you can use its dashboard to manage orders, track shipments, and notify customers when their package ships. Later designed their platform to help companies plan and schedule their photo and video content on social media. Its auto Instagram posting tool is a game changer for social media managers and entrepreneurs, allowing you to “set it and forget it” when posting Instagram content. We love the preview feature because it allows you to focus on making your feed visually appealing first and then you can plug in the copy that compliments each image. With the built-in media manager you can drag and drop your graphic content directly to the Later app and then plug and play on the calendar tab to layout your feed. You can also use Later to schedule content on Facebook, Twitter, and Pinterest allowing you to automate all your social channels from one place. Pricing ranges from free to $49 per month for five profiles per platform. The premium plans also provide a robust analytics dashboard so you can learn and test new content strategies as you go. Founded by an ecommerce entrepreneur who needed to streamline her process when sharing content on Instagram for her jewelry brand, Planoly has a beautiful user interface and is clean, simple, and easy to use. Similar to Later, you can schedule automatic Instagram posts with Planoly. However, Planoly only integrates with Instagram. Later is a better choice if you’d like to plan content for multiple social channels at once. You can manage all of your social media channels from one location with Hootsuite. Its search stream feature allows you to curate content and engage with your followers by hashtag, geographic location, or keyword. Use the Hootlet Extension to instantly post or schedule brand-related content from any webpage as you browse without having to log into your social accounts. You can also access content that you’ve curated and stored in your cloud file services, like Google Drive or Dropbox. If you’re working with a team, you can be sure only approved content gets published to your social media feeds. Designate team leaders to approve content before it gets released, so your businesses social media posts stay on brand. Pricing ranges from $10 a month for ten social profiles, unlimited scheduling, and one user to $599 per month for its “business” package. Hootsuite also offers custom solutions for enterprise businesses. QuickBooks is a business accounting software that can help you save time on bookkeeping, paperwork, and easily generates financial reports. Automating your bookkeeping tasks can help you know where your business stands (always). With QuickBooks, you can send invoices, accept credit card payments, and pay your bills online. It also integrates with over 100 business applications. Pricing is affordable, ranging from $5 per month for self-employed individuals to $60 per month for its “advanced” package. Use our referral link to get up to 50% off and a $50 Visa® Card to help with your business needs when you sign up here! Invoice2go is an app that can help you with invoicing, expense-tracking, and reporting for your business. It integrates with PayPal and automatically syncs across all of your devices. The “Today” feature generates a daily to-do list for you so you can see what’s due or overdue and you can send estimates, invoices, and POs from any messaging app on your smartphone. Pricing ranges from $9.99 per month for its standard package to $33.99 per month for unlimited subscribers. Hurdlr automatically tracks your income streams, expenses, mileage, and tax deductions in real-time. It’s made for self-employed entrepreneurs so you can always know your finances, tax deductions, and profitability. Hurdlr’s auto start and stop feature tracks your business mileage, so you know what to expense. Pricing ranges from free to $7.99 per month for the premium plan, and Hurdlr also has custom options for enterprise businesses. If you’re feeling inundated with administrative tasks that come with the territory of owning a small business, rest assured, there are countless apps available to make your life easier. With the right combination of solutions, you can streamline your day-to-day, automate your processes, keep track of your business finances, and save time and money so you can focus on strategically growing your business. What apps do you use to streamline your workflow? Tell us in the comments below!